Energy supplier’s worldwide today are using the OpenADR standard to send fast, reliable and secure price and event messages to a wide variety of customer-installed equipment, such as building control systems, Zero Net Energy (ZNE) homes, smart thermostats, air conditioners, electric vehicle (EV) charging stations, water heaters, and advanced plug load controllers. By adding messaging support for common energy resources, OpenADR can also provide a unified platform to help utilities and customers manage the constantly changing collection of DER resources, unifying a system of systems. 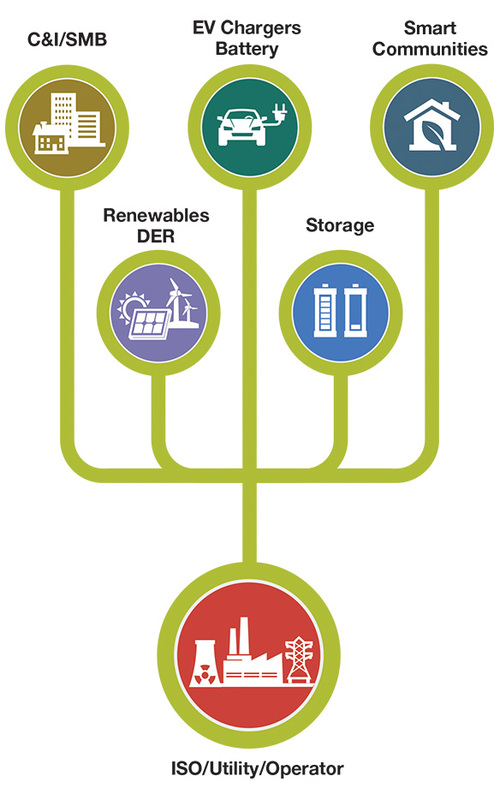 In April, EPRI hosted a workshop on Distributed Energy Resources (DER), with support from the OpenADR Alliance at EPRI's Palo Alto, California facility. The workshop was attended by 80 industry thought leaders from the DR and DER industries. Over the course of two days, the group discussed use cases, communication requirements and popular protocols used in DER projects. To download the presentations from the two-day workshop please click here.